Home > Real Estate Regulator > This is Time for Real Estate Agents to Evolve..! 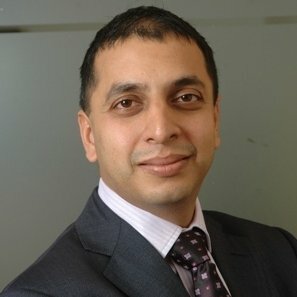 Mr. Prateek Pant, Sanctum Wealth Management Pvt. Ltd. In India, real estate along with equity capital markets have been the largest source of wealth creation among investors. But many investors tend to be over-allocated to real estate due to legacy holdings. has been largely unregulated with few stakeholders profiteering. The capital markets also went through their own stages of evolution. However, as a proactive regulator, the Securities and Exchange Board of India (SEBI) has taken strong corrective steps and what we have are well-regulated, completely dematerialised and smooth functioning capital markets, which inspire confidence. The incumbent government has shown urgency in regulating the real estate sector, which has over the last few years seen a significant slowdown in the residential space. Hence the Real Estate (Regulation and Development) Act, 2016 (RERA) has finally seen light of the day, with many states issuing draft notifications as well. The key difference is that since land is a state subject, each state has to promulgate its own Act and establish its regulatory authority. RERA provides for regulatory oversight and puts in place roles and responsibilities around four pillars of the real estate sector: regulators, developers, brokers and consumers. There have been significant discussions about the impact of RERA on developers and consumers’ rights. However, one community that could have existential issues because of it, would be real estate brokers. Today, the Indian real estate brokerage market is largely unorganised and fragmented. At present, anyone can become a broker in India no licence or certificate is needed, and there are no rules governing the trade. While there are no published figures, according to Magicbricks there are about 2,00,000 brokers across the top 10 cities of the country. • The real estate agents shall not facilitate sale and purchase of any real estate project unless it is registered with the authorities. Additionally, they will assist allottees and promoters to exercise their respective rights and fulfil their obligations at the time of the sale of any plot, apartment or others. • Real estate agents will preserve all the books of accounts, records and documents in accordance with the provisions of the Income-tax Act, 1961, or the Companies Act, 2013, or under any other applicable law. • They would not get involved in any unfair trade practices or falsely represent any service offered by promoters. We foresee a significant disruption in the traditional brokerage model, similar to what the mutual fund industry has witnessed. While the number of registered mutual fund distributors may have crossed 1,00,000; less than 20% of them are active. The different regulations over the last decade which started from abolishment of entry loads, reduction of expense ratios, introduction of direct plans and the latest discussion paper on registered investment advisers have ensured that only serious entities with capital and a long-term vision survive and prosper. The mutual fund industry went through a lot of pain before it decided to regulate the environment, and even then, some measures were forced onto it. 1. Have a self-regulation framework..! Allow industry bodies like Confederation of Real Estate Developers’ Association of India (CREDAI) and National Real Estate Development Council (NARDECO) to initiate self-regulatory mechanisms, in line with what the mutual funds body Association of Mutual Funds in India (AMFI) did. These bodies can work with the regulator to ensure that the mechanism is robust, and take care of most of the regulator’s concerns. This would make developers and brokers voluntarily associate with the industry bodies and self-regulate under friendlier hand-holding, rather than having to go to the regulator for every issue. 2. Brokers or investment advisers..! Today, brokers wear the hats of both advisers and brokers. With the advent of RERA and Goods and Services Tax (GST), there will be much more information available about developers, resulting in easier access to data points for formal advisory services to be made available for retail investors. However, safeguards for such advisory services need to be created. A good starting point would be again to look at how it has evolved in the mutual fund space. In some micro markets, brokerage charges have reached double-digit levels. This is being done to ‘push demand’ and often to pass on discounts to new customers without offending existing customers. A reasonable cap would curb mis-selling and protect investor interests. 4. Disclosure norms for brokers..! The proposed guidelines have created a framework for financial disclosure for brokers, but more needs to be done in line with the ones that exist in the mutual funds space. For example: transparency in the broker’s personal holding with the developer whose project he is selling, and the brokerage being earned. 5. Certification criteria for brokers..! While RERA provisions have a certification process, the industry bodies should look to create exam modules or have minimum education criteria for brokers, in line with global best practices. This will bring in common minimum standards and encourage professionals to evaluate career opportunities within the real estate sector. In conclusion, brokers need to be aware that their role is likely to evolve and they must evolve accordingly. These steps will not only weed out avoidable elements but also bring in more respect for the value they add. Mr. Prateek Pant is co-founder and head—products and solutions, Sanctum Wealth Management Pvt. Ltd.